Split king beds can be made up as King or Twin rooms on request. Quality bedding, wool underlays, crisp linen and plump pillows. Beautiful lambswool blankets, dual control electric blankets and self regulated in-room heating keep you cosy in Winter. 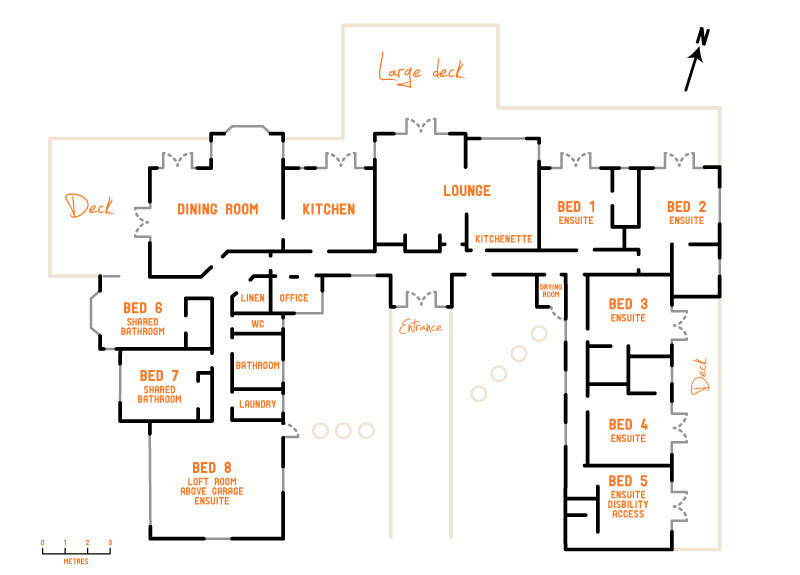 Ensuite bathrooms feature high-pressure shower, heated tile floor, de-mist mirror, heated towel rail, hair dryer. "The only negative about this property was that we had to leave at the end of the trip! Look no further if you want a large property for a big group of people. Perfect, luxurious, brilliant property in the foothills of Wanaka. It's a little out of town, but that doesn't matter as you won't want to leave the lodge unless you go up the hill for skiing. Every little thing was thought of in the lodge and Mel, the owner, was on hand to help out if we needed it. 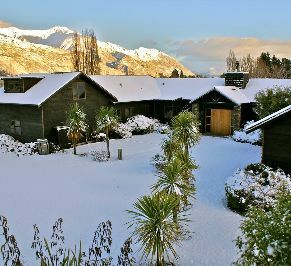 A short drive to Treble Cone and Cardrona (30-40 mins to the top of the mountain), and about an hour from Queenstown airport. My friends and I loved it - I've never had better accommodation for a holiday and was very impressed. What's more, it's excellent value for money.